Reading an interview with the famous Chinese artist Ai Weiwei in the weekend magazine of the Dutch newspaper NRC Handelsblad, I was instantly drawn to his faith in the democratizing power of the Internet. 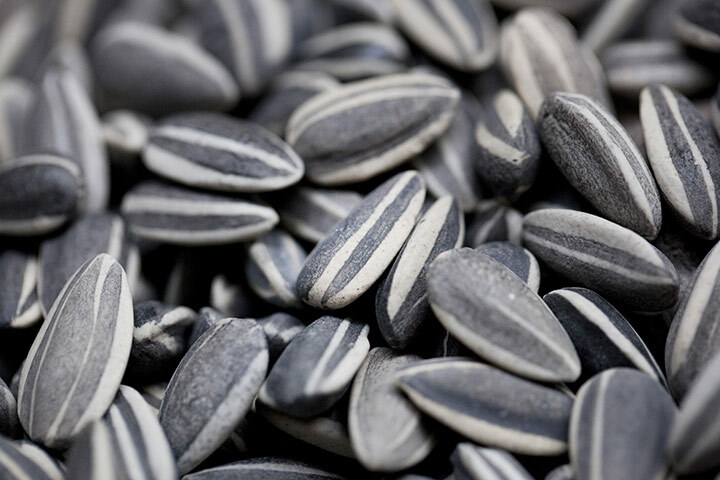 More than once Weiwei, who is probably best known for his work on the Olympic Bird’s Nest Stadium in Beijing, stressed the importance of the Internet in trying to resist the practices of the Chinese government. Through the Internet it’s easier to raise awareness on an international level, but in China itself as well. Weiwei is a friend of Liu Xiaobo, a fellow human rights activist who has won the Nobel Peace Prize this year – while being detained in prison in China for the very actions that got him the important award in the first place. He was one of the writers of Charter 08, a manifesto pleading for a democratic China, which was initially signed by more than 350 Chinese intellectuals and human rights activists and by many thousands on the Internet in the following weeks. (An English version, translated by Perry Link, can be seen here.) It asks: “Where is China headed in the twenty-first century? Will it continue with “modernization” under authoritarian rule, or will it embrace universal human values, join the mainstream of civilized nations, and build a democratic system?” Being one of the most important Chinese activists since the 1980s, Xiaobo has been imprisoned many times. Right now, he is locked up at an undisclosed location without official charges, but probably as a direct result of Charter 08, and he will be for another 10 years. Some of the other writers of the Charter 08 have recently commented on the Nobel Peace Prize, calling it a “major event in modern Chinese history”. Weiwei calls the fact that Xiaobo won “a gift just as important as the Internet”. The government of China tightly controlles the media and it generally does not allow any points of criticism to be expressed in the media and press. So while we in the Western world might think the protests of Weiwei and others get a lot of attention in China, it’s rather the opposite. They are given no attention in the traditional media or are even silenced by the government, like Xiaobo. Weiwei thinks the reason he himself is not imprisoned only has to do with his international fame. The commotion and worldwide attention an arrest of Wei Wei would cause, would be more harmful to the Chinese government than letting him run free – for now at least. The Chinese media have been spreading false stories on Xiaobo, telling that he is a criminal and that the Nobel Peace Prize he has been awarded is an insult to China. 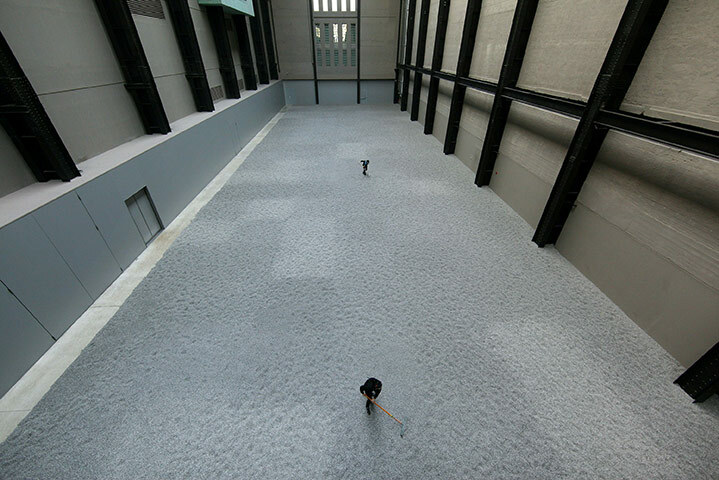 Weiwei has famously used the Internet to trace the identities of more than 5000 students who died on account of the earthquake in the province of Sichuan in 2008. The government tried to stop him from creating a scandal, so they arrested him and beat him. He now mainly uses his fame as an artist to raise awareness of the situation in China, using Twitter (in Chinese, although there’s a translated version) and his blog. At least, he tries. Many of his blogs are shut down by the Great Chinese Firewall but he is confident that his message will slip through the cracks. In fact, he names the Internet as the main reason Xaiobo got arrested: “You know why Liu Xaiobo and others have been arrested? Because of their ideas got spread very rapidly on the Internet. This has frightened [the government]”. Under the surface of the controlled state and its media, there’s a revolution brooding, sometimes showing itself on the Internet. Let’s all spread the message! Or watch, as long as it lasts, a version with better quality at this website. Being a student of New Media, people I know who are less involved in the world of new media sometimes turn to me with questions on the latest technological developments that are being covered in the news. As if I personally were responsible for the launch of every new device, I get subjected to a barrage of questions (I do the same thing to befriended medical students with every question regarding my physical well-being, so I can’t complain). The device that attracted to most attention was, not totally surprising, the iPad. Of course, not being Steve Jobs or even a seller of this object, I don’t have a particular interest in defending this device. And it certainly needs defending in circles outside of new media and Apple fan boys and fan girls. This is because people can’t seem to grasp what the iPad is: is it an e-reader, a laptop or something entirely different? This is the power of a device like the iPad. It’s the first iPad. It’s an e-reader with so much functions that it appears to be a laptop with fewer functions, or better yet: a supersized iPhone that doesn’t allow you to make a phone call. It is however, the prime example of an e-reader type of device that successfully combines all sorts of media in one device. Of course a device like this looks and feels much like a laptop or iPhone (or whatever smartphone) and leaves people wondering what the use of this device is. Right now, I wouldn’t just buy an e-reader like the ones that are on the market today, save for the iPad. Its options are too limited and it does not yet fully make use of the possibilities an electronic book can realize. To see what can be possible with e-readers, I believe one simply has to look at what is possible on the Internet. As computers and the Internet took on text, images, sound and video, it was only a matter of time before people would start consuming their total books on a similar device as well. The most important change would be that the size and shape of the device on which you will read, has to fit the experience of reading a book. It has to be as convenient as a book when you want to read in a relaxed mode. One of the most important enablers of this experience is a screen that is pleasant to look at for a long period of time. ‘Pages’ must be turned in a natural and effortless way. Also, an electronic book can have a lot of advantages over a paper book, such as simply searching for keywords, copying and sharing pieces of the text, placing extensive bookmarks and making interactive notes. What I would want out of an electronic book depends on what kind of a book I’m reading. When reading an academic paper on a new media subject, the text could use a more dynamic way of reading. Take the book of Henry Jenkins, ‘Convergence culture: where old and new media collide‘ for example. He uses endless examples of fanmade culture, but is only able to describe it in words. With the possibilities of an e-reader, the text could be way more forward, just showing a video clip and telling how it relates to his argument. This saves time and makes it a far more joyful and significant experience of the story. By making the examples easily and fast accessible, his overall argument gains strength. In this way, non-fiction books could be greatly enhanced on an e-reader. So when to enrich a fictional book or text? I would say, when talking about a different form of media in a text, you should link to it or be able to show it in the text. Or when in the classic novel ‘American Psycho‘ the protagonist dissects Genesis songs in between murdering and torturing, you could easily just stream the specific songs he is talking about. Amazon must love this idea: when reading about a Genesis album, just click ‘buy’! This is of course something that can be subject to a lot of spam and unwanted commercial offers. Also, you could include features similar to DVD extras, such as audio commentary, a standard audio book function or a making of. But how far do we want this to go? Do you want your e-reader to play The Lord of the Rings movie soundtrack when you are reading the original book by J. R. R. Tolkien? I think not. While the possibilities for enhancing the text with different media on an e-reader are plentiful, a book is still a book. When I want to read a (fiction) book, I don’t want to watch a movie or listen to its soundtrack. The new way of reading is in this sense more suitable for educational, shorter texts or non-fiction books that feature a lot of references to other media content, much like how Internet sites have been for a long time now. Twitter is a combination of different elements and content that other Internet sites and platforms already had. To me, this is what makes Twitter so great: in a way my usage of the Internet is being channeled and collected by one single website or app (depending on whether I access it via the Web or via my phone). It’s a social networking site like Facebook, handy in keeping up with what your friends are up to. It’s a personal branding and marketing medium alas LinkedIn. It’s a place for companies to share information and to improve their image. It’s the place to go to for information on artists. 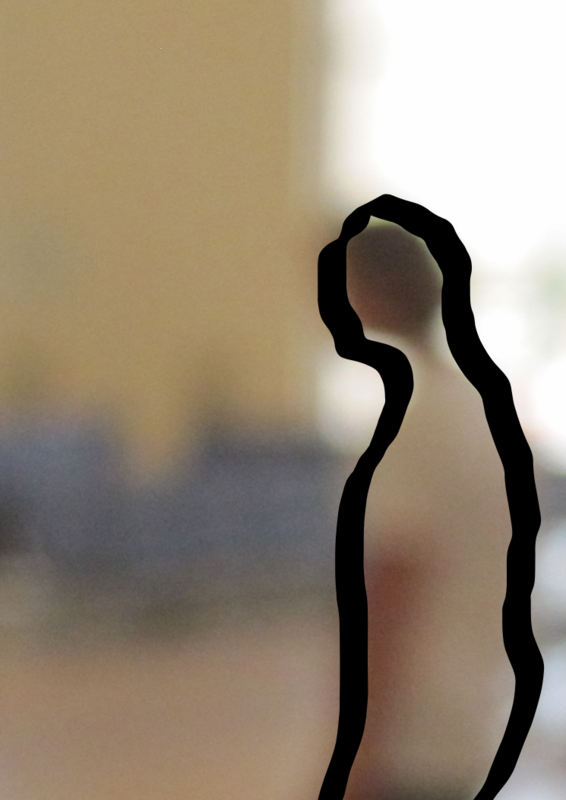 It’s a (micro)blog that leads you to other interesting recommended links. It’s a RSS feed. It’s the fastest news source you’ll ever find. Heck, who needs the Web when we got Twitter? Sure, we’ll always have Web pages. We still have postcards and telegrams, don’t we? But the center of interactive media – increasingly, the center of gravity of all media – is moving to a post-HTML environment, a world way past a Web dominated by the page, beyond streamed audio and video, and fast into a land of push-pull, active objects, virtual space, and ambient broadcasting. You might not want to believe us, but a place where you can kiss your Web browser goodbye. Of course there are some points we should not forget about. There are dangers in the limited and targeted use of the Internet through an app, especially an app like Twitter. When using the app, I of course only read the content that’s being produced by the people I chose to follow: Twitter has become my carefully constructed window to the world. Next to this, even if I would be able to follow all of Twitter, I still wouldn’t have a complete picture of society and what’s happening in it. There’s still a very specific group of Twitter users worldwide. The Twitter community is not necessarily representative of any offline community. But if it’s not on Twitter, it didn’t happen, right? Let me give you an example of what the effect of my personal window could be. On Twitter, I just follow one political figure. I follow Femke Halsema, the leader the leftist political party GroenLinks. Next to this, I follow the Politiek24 account, which is some sort of live TV guide for the digital politics channel of the Netherlands of the same name. So when mainly using Twitter as my (political) news feed, this is what happens: Politiek24 twitters that there’s a press conference on some argument during the formation of the new cabinet coming up. This gives me very limited information on the topic, but more importantly, my first opinion comes from the one political Twitter account I follow: the leftist vision of Halsema. If I don’t feel like getting deeper into this particular news event, then this is all that I have seen: a political conflict and the reaction of GroenLinks. This can narrow my political scope and objective information access in a serious way, exactly like Cass R. Sunstein described in his book ‘Republic.com 2.0’. When mainly using the Internet through apps and specific websites, you have to try to stay out of the loop of the likeminded. Sunstein, Cass R. Republic. com 2.0. Princeton, New Jersey: Princeton University Press, 2007. 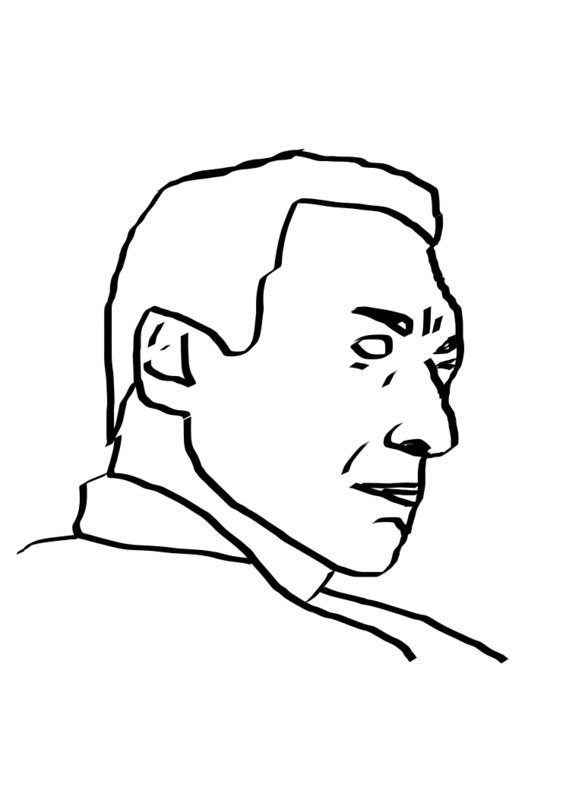 For my studies, I had to play around with the open source alternative to Illustrator, called Inkscape. It’s a vector graphics editor (-oh really?). 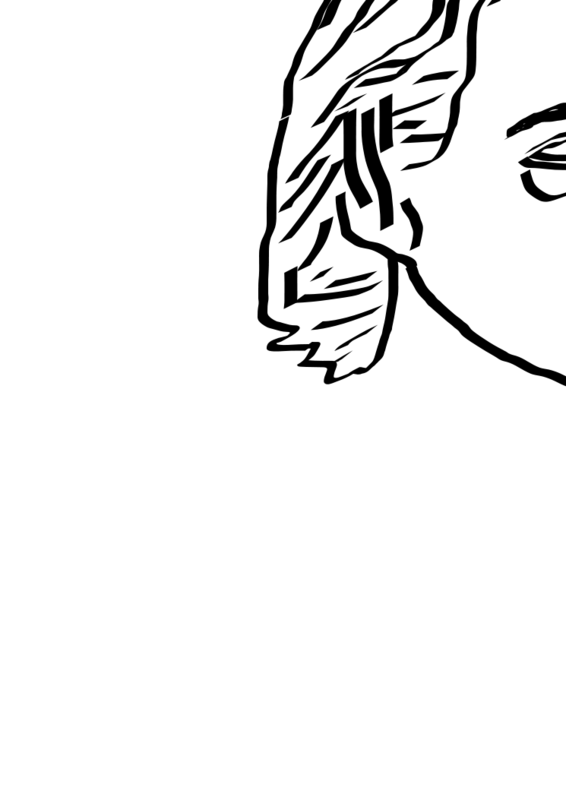 Here you can stare for hours in absolute awe at the super medium and randomly picked results of my endeavor into the world of Inkscape. After this you will surely want to use Inkscape yourself. And now you can! It’s free! It’s open source! It’s here for you to download! You can be a maker of pictures! This can be you! 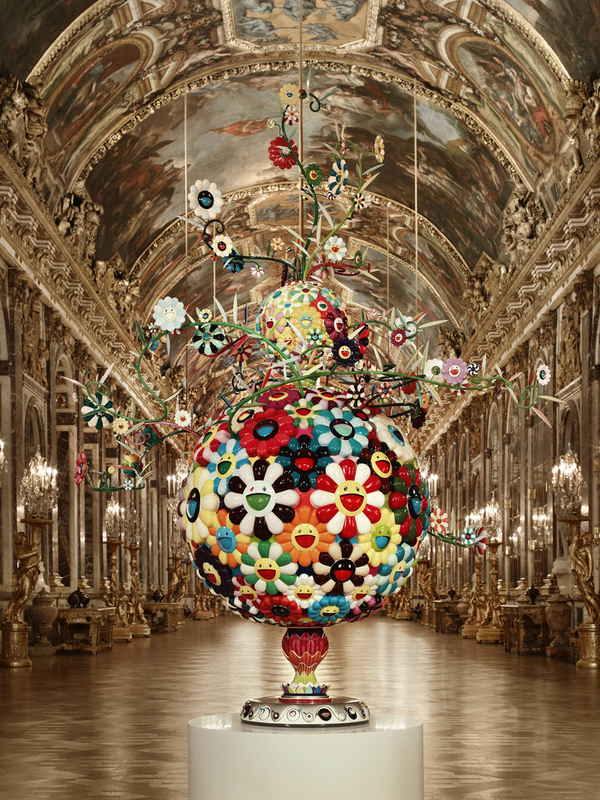 Japanese artist Takashi Murakami is exposing at the palace of Versailles! The sharp contrast between old and new is very striking, but at the same time the interior of the palace of Versailles has the same kind of crazy abundantness that Murakami’s work has. Must be fantastic to visit. Sitting in class, I had just created my account on Wikipedia. Within minutes somebody had altered my biography on my personal user page. Luckily, it was the person sitting next to me in class who had successfully fooled me, but that’s not the point here. Imagine someone else being able to alter your biography on Twitter, or your personal information on Facebook. This was a clear welcome to the world of writing for Wikipedia: everything is open, up for debate and traceable by everyone. After this I started writing a Wikipedia entry on Instant Replay, a small record label from Amsterdam that has been founded earlier this year as a sublabel to the more established Amsterdam label Magnetron Music. I thought that it would be nice to share my ‘knowledge’ with people that are confused about the different aliases of the artists that have released records on both Magnetron Music and Instant Replay. Seeing as some of them like De Jeugd van Tegenwoordig are fairly popular in the Netherlands, I thought there might be some people interested in this. In any case, I didn’t expect the subject to be controversial or unworthy of an entry. Only minutes after publishing the entry a Wikipedia editor changed a misleading part: I said the label had only released digital music, but I indeed meant to say that the label had only released music digitally. Next to this some other editors and bots changed a couple of things to make it conform to the standard layout. I thought it was going just fine: my entry was becoming better even without any effort from my part. However, only one hour after I had posted it, an user by the name of Davin came along and decided that my entry should be put on the proposed deletion list. The reason: the label is too young to be worthy of a Wikipedia entry, implying that the relevance of the entry would only be proven if the label would survive for a more extended period of time. Of course I pleaded my case on the discussion page, saying that the label is a sublabel of Magnetron Music, which makes it a sublabel of Universal thus not just some new label. Next to this I pointed out that people are involved who are fairly famous. I haven’t got a response yet, so I assume it will be evaluated on my personal judgment day next week. Seeing as the other editors that saw and even contributed to my entry didn’t think it should be deleted, I still have hope. So what’s happening here? The more experienced and respected Wikipedia editor gets to say if the subject of my entry is relevant enough to be included in this online encyclopedia. There’s a lot to be said for the professionalization and cleansing of Wikipedia, but it can also let Wikipedia get a more narrow scope than it could have. To stay with the example I have used for my entry: I can just as easily upload this information to wiki-like sites that are more focused on music. Discogs is a fine example of a website that resembles Wikipedia in look as well as in user contributions, but lacks the editors saying that your contribution is not relevant. Also, a subject like the Vietnam War is more likely to spark a discussion with subjective arguments than say, the discography of a new record label. So if ‘they’ don’t want it, I’ll just take this content and knowledge somewhere else. This fragmentation of content pushes Wikipedia in a more distinct serious direction. It’s ironic that the encyclopedia that’s by and for users still has a hierarchy. If my entry gets deleted I will definitely feel rejected by these users in specific and Wikipedia in general. What gives this user the right to delete an entry I find relevant? He doesn’t own Wikipedia. It’s supposed to be a free encyclopedia that’s open for everyone, but that’s not the feeling I got from writing my first entry. In combination with the not overly user friendly system of Wikipedia, lacking templates that would extremely simplify the adding and editing of content by less experienced users, these developments might make this ambitious online encyclopedia ironically enough a work of the elite – just like the traditional encyclopedia was and is. This new Wiki-elite might just spoil the fun and possibilities that Wikipedia gives the user. The regular contributors of Wikipedia have made the choice to make Wikipedia a more professional encyclopedia. They just have to watch that the most fun encyclopedia in existence doesn’t become a little too serious. Now I’ll just have to wait if the Wiki-elite decides if my entry is worthy of a page on Wikipedia. 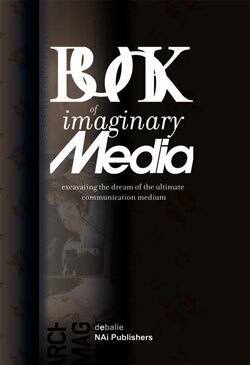 The Book of imaginary media: excavating the dream of the ultimate communication medium (2006) explicity deals with imaginary media. These are the potential or possible media, or as its editor Eric Kluitenberg calls it: “dreamed media”. In this sense, the book is not easy to judge on an academic level. It does not consist of theories with grounded arguments that can be dissected and counter argued. However, we can judge if the stories and lineages the book presents are valid and relevant. The book looks into the possibilities of “how human communication can be reshaped by means of machines” (p. 8). Quite a tall order, if you ask me. It does so by examining the imagined media. The editor of the book is Eric Kluitenberg, who was a teacher in the New Media Master and is now working as the head of the Media Department at De Balie, both in Amsterdam. Next to writing the much needed introduction and conclusion to provide the articles with context, he also writes one text himself. Most of the articles that he has asked the writers to provide, are a direct result of presentations the writers respectively gave at De Balie. One of the writers that provides an article is the famous science fiction writer Bruce Sterling. He looks into “dead” media: the media of the past that for whatever reason have become obsolete. These are realized media that failed, with imaginary histories that could have been developed if the media hadn’t failed. That’s why he started the Dead Media Project in 1995, to archive the media that are gone and forgotten. According to Sterling, digital media die even faster than any previous kind of media. A well-known example is MS-DOS, which used to be very popular but nowadays is rare and outdated. Next to media that were popular, there were thousands of media that never made a lasting impression. With a feeling for dramatic expression, Sterling describes: “The holocaust is all around us now.” (p. 59) He then goes on to make a strong point for the very real and not imaginary problems that come with preserving and archiving digital media. Another writer, Siegfriend Zielinski, distinguishes three categories of imaginary media. The first category is untimely media. These media were designed much too late or much too early, but have been realized at some point in time. Then we have the conceptual media, which only exist on paper and were never actually built. Impossible media, the truest form of imaginary media, are machines that could never be built, but have an impact on our thinking of actual media nonetheless. This categorization shows that the studies of imaginary media that are undertaken in this book don’t have to be very practical or have some predictive quality: as long as they trigger the mind to think about media and communication, it’s fine. Next to the articles, the book offers a nice feature: at the top of every page there is a timeline. Starting in 360 B.C. with Plato, there are chronically ordered examples of imaginary media. This fits nicely into the whole lineage approach the media archaeologists tend to take in general. Some of the examples are amusing because they are or totally fantastic or strangely prophetic. Like the futuristic photographer Anton Giulio Bragaglia, who in 1913 writes about a phone which transmits images through which you can see the soul of the other person, whether they are close or not. Examples like this are as prophetic as they are ridiculous. As a reader, this has to be your cup of tea. The genre might be called science fiction, and that alone means the book is acquired taste. Overall, the articles bundled here stay on point and don’t get too “dreamy”. The difficulty in predicting the future and judging those predictions, is in the fact that the future is yet unknown. Maybe in ten years we will look back on some of these articles and think of them as genius, prophetic masterpieces. The book sure does work as a thought experiment and may give us some insights on how communication media will continue to evolve. All in all, I think the story this book is telling, is more suited for, how ironic, a different medium. The fact that the book comes with a DVD to provide visual support and examples also points to this. This book is connected to the events and presentations at De Balie on the subject, and it has to be said that the story suits this form better. Imaginary stories for children, like fairytales, are often illustrated, and a more flamboyant presentation of this content would suit the message. The stories are sometimes so extravagant that they deserve another medium. It feels like reading about an art project and exhibition, but not being able to visit it. That being said, the book does serve as a fine survey of what the field of Media Archaeology stands for and it gets the reader to think about what the future of communication media might bring us. Kluitenberg, Eric, ed. Book of imaginary media. Excavating the dream of the ultimate communication medium. Rotterdam: NAi Publishers, 2006. In reality: a collaboration between Dutch house and hip-hop dj/producer Tom Trago and Piet Parra, known from the electronic trio Le Le. This song will demolish clubs: Tank.